The card is only suitable for Great Britain accounts, the UK region. 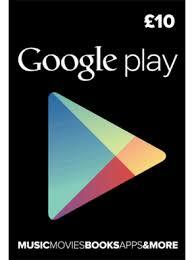 This product will add £ 10 to the Google Play Gift. We reserve the right to issue this product in the form of several cards with a face value of 1.2.5 pounds.